Let your doctor know if you have any of the following symptoms -- but keep in mind that many conditions can cause them. The sooner you get checked out, the better. Many people with colon cancer don't have symptoms. That's why it is so important to keep up with routine screening tests. Constipation and diarrhea. These can also be symptoms of other, less serious conditions, such as a stomach virus. But if it doesn't stop quickly, see your doctor. Long, thin, pencil-like stools. These are a sign that something is blocking your colon. The blockage could be a tumor or something else. Fatigue and weakness. Feeling much more tired or weak than usual could be a sign that the tumor is bleeding and you've lost iron. Abdominal pain or bloating. 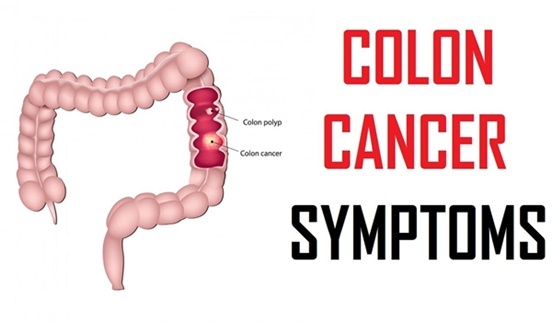 Colon tumors can cause a blockage that makes it hard to fully empty your bowels. You can feel bloated and full as a result. Unexplained weight loss. A weight loss of 10 pounds or more, when you haven't changed your diet and exercise habits, could be cancer, especially if you also have other colon cancer symptoms. Other symptoms you have depend on where the cancer has spread. In the U.S., 20% of people who find out they have colon cancer learn that it has spread to distant parts of their body. Cancer can also spread "locally," through the lymph nodes and bloodstream. Colon cancer most often spreads to the liver, lungs, and peritoneum (the lining of the abdomen). This cancer can also reach the bones and other organs.